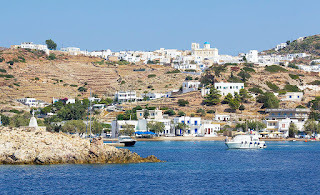 Kimolos, between Sifnos and Milos, is a favourite destination for those in search of peaceful holidays outside the touristic mainstream, in an enchanting setting with fascinating historical, but also and unique geological monuments like "Skiadi", a rare mushroom-shaped formation that can provide shade to even 40 people. This volcanic island, with a surface area of 36 square kilometers, has a unique variety of rocks, dominated by the white colour of the "land of chalk", while its coastline is interspersed with sandy beaches in some places and elsewhere by imposing, sheer rocks. Volcanic and mountainous Kimolos offers a unique variety of rocks, as well as very interesting fauna, which includes many migratory bird species. The wetland of Alyki is significant. 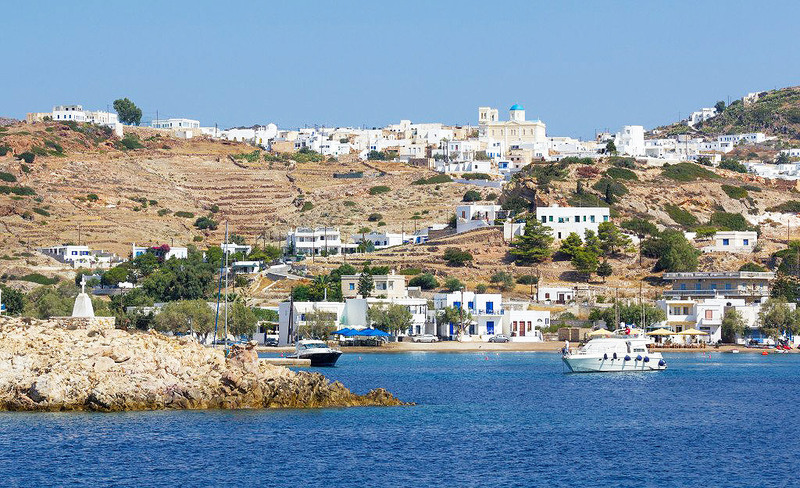 According to mythology, Kimolos was named after its first settler, Kimolos. 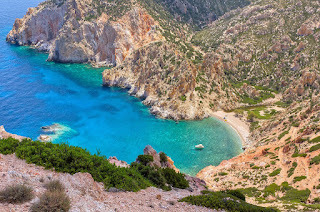 It has been inhabited since at least the Mycenaean period and is known since antiquity for its chalk mines — a major source of income for the island. Sights at Chorio: The capital’s old settlement of Kastro (castle) is one of Kimolos’ best attractions. It’s comprised of two quarters; Mesa (Inner) and Exo (Outer) Kastro, aka two fortified squares of houses built into one another. The dominating medieval castle, two-storey residencies (both ruined and restored), the famed “portares” (arcade gates) and the settlement’s walls are only some of the highlights here. Plus, of course, the Archaeological Museum and Folklore-Maritime Museum, which display a highly interesting overview of Kimolos’ history, lifestyle and traditions. 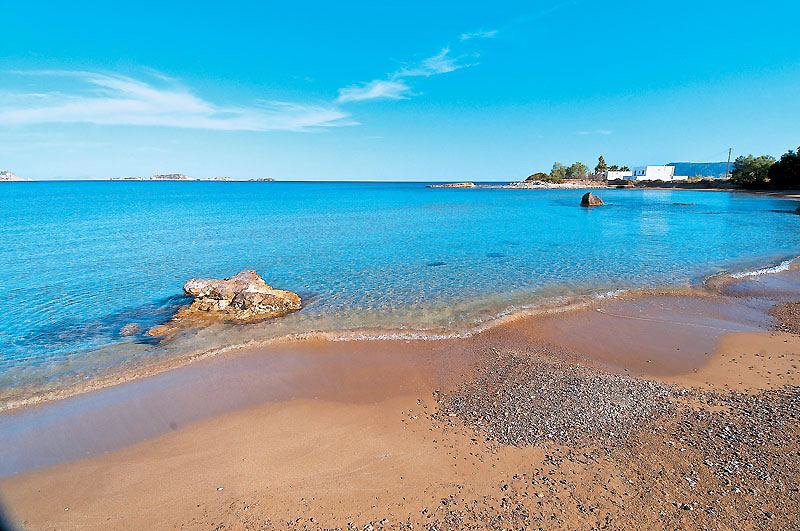 Sea caves: Vromolimni, Konsolina and Gerakia are the island’s most popular ones (accessible by boat). Vromolimni is the largest of them all, while Gerakiais highly impressive, with turquoise waters where you can dive and then walk into the cave. Syrmata: These photogenic constructions with multi-colored doors are carved into the rocks by the fishermen, to house their boats and nets. They are located at the island’s fishing village of Goupa (and the nearby beach of Rema). 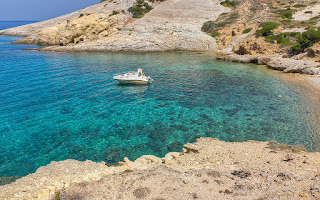 Ancient sights: Kimolos’ ancient city is located ashore and underwater at the settlement of Ellinika. 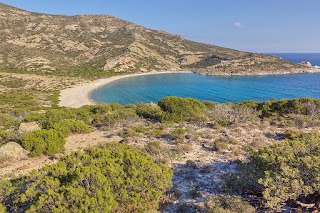 The remains include the necropolis, houses and many findings, while relics of the acropolis can be seen on the islet of Agios Andreas (located at a distance of 200m). Moreover, at the island’s highest spot in the area of Paleocastro, lie the remains of an ancient acropolis and cylindrical tower. The ruined windmills: They are situated at the area of Xaplovouni. Visit them at dusk, to enjoy fabulous views. 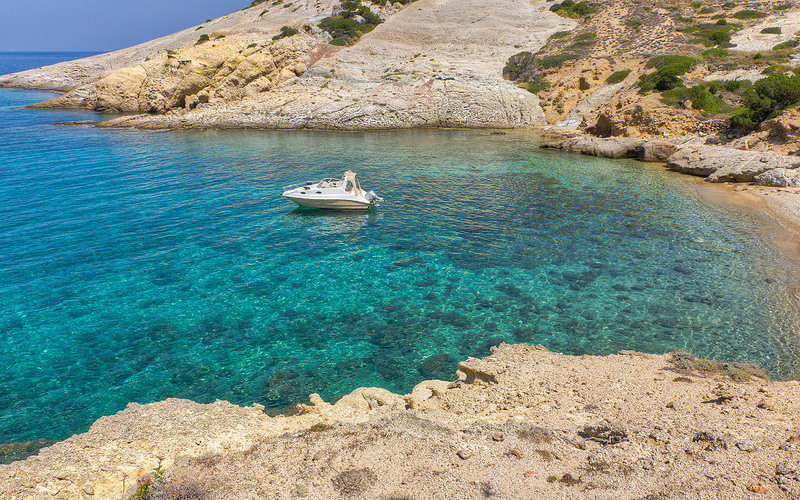 Skiadi: A rare natural phenomenon and one of the island’s top attractions. Skiadi is a bizarre rock formation that resembles a gigantic mushroom. You can reach it on foot, preferably early in the morning or late in the afternoon, in order to avoid the heat. In the sea, the presence of underwater fields of posidonia oceanica seaweed is of particular importance, since it enriches the sea with oxygen and constitutes an ideal natural environment for a large number of fish and invertebrate species. In the many sea caves along the coast, seals find refuge to rest and give birth. The total population of the species in this area is estimated at 43, of varying ages, excluding newborns. 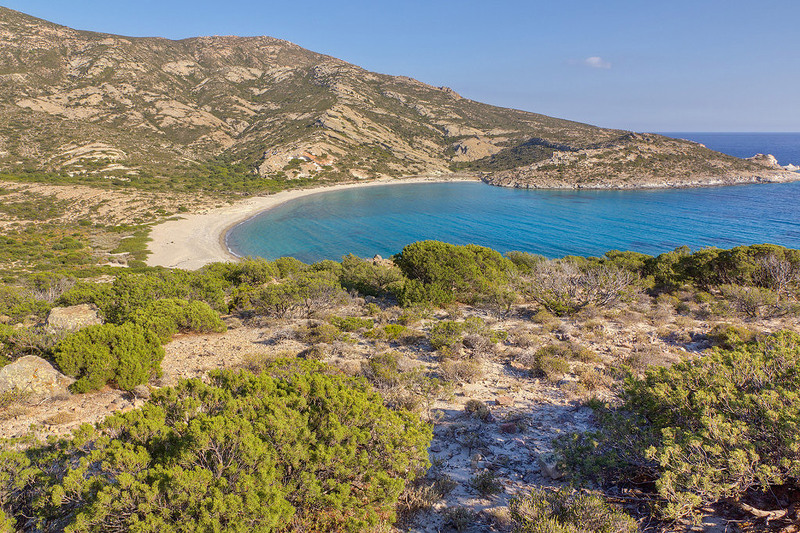 Northeast Kimolos and Polyegos, as well as the sea area surrounding the two islands, are included in the NATURA 2000 Network of the most important ecological areas in Europe. In 1999, the organisation 'Mom' proposed the establishment of a protected area under the name "National Sea Park of Kimolos". Every summer, Kimolos hosts a variety of events. 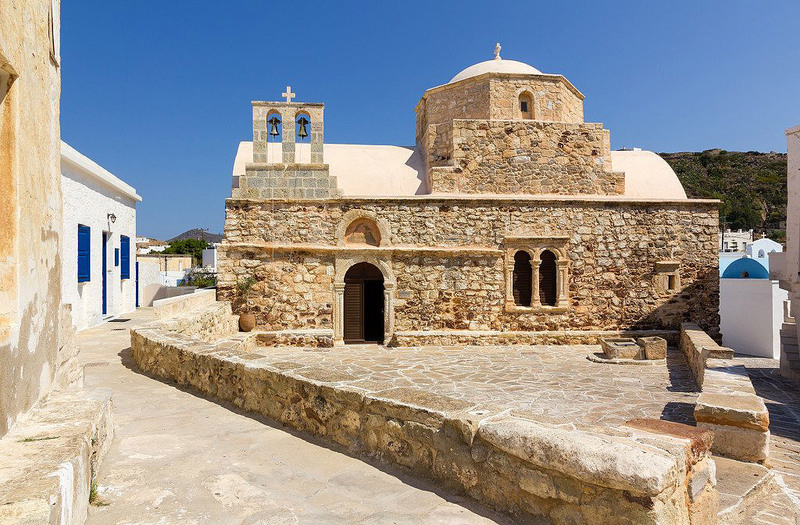 Furthermore, you can participate in the island’s numerous feasts – some of the most popular take place on July 20th (Prophet Elijah) and August 15th (Panagia Konomou). Smaller festivals take place on the 26th of July, the feast of Agia Paraskeviat Xaplovouni and on the 5th of October, the feast of Ossia Methodia. The "Politistikos Avgoustos" (Cultural August) festival is held in Kimolos every summer, with exhibitions, sports events, children events, performances, competitions, and dance and music nights. Traditional fare in Kimolos includes the scrumptious "ladenia" (bread dough topped with tomatoes and onions baked in a roasting pan with plenty of oil), eggs with potatoes and onions, traditional manouri (fresh whey white cheese) and "xino" cheese (soft fresh cheese with a sour flavour), while the limpets, rice and red mullets with capers are exceptional savoury dishes. The paximadia (dry rusks) blended with schinokokko, the tomato paste and the local honey are exceptional.